How to pick your signature perfume? Although only one-fourth of Jewish Americans say they attend religious services at least once or twice a month, participation in religious holidays and other traditions is still incredibly important — even to those who wouldn’t classify themselves as observant. With dozens of major and minor holidays to celebrate, it can be difficult to keep them all straight. That’s especially true in the modern age, as our Gregorian calendar is drastically different from the lunisolar calendar used in the Jewish faith. Even if you don’t regularly go to the temple, you’re probably familiar with most of the major holidays. There are Rosh Hashanah and Yom Kippur, known as the High Holy Days which respectively celebrate the coming of the new year and allow people to atone for their sins. Hanukkah, the eight-day festival of lights, gets a lot of the glory for its astounding origin story (and the fact that the youngest members of the faith receive present each night). Passover, of course, is well-known throughout the world and provides a real reason for many Jews to celebrate. In fact, 70 percent of US Jews said they participated in the Passover Seder during 2013. But whether you grew up in the Jewish faith or you’re not overly familiar with these holidays and ceremonies, you might not know a lot about Purim. Purim, known in English as the “Feast of Lots,” is a lighthearted holiday that’s immensely important to the history of the Jewish religion. In order to celebrate properly, you’ll need to understand a bit more about the story — and the essential elements that come along with any Purim festivities. If your aim is to throw an unforgettable Purim party, here’s where you should start. The Purim holiday commemorates the survival of the Jewish people — an incredibly common theme for these religious festivities and a source of pride among those who subscribe to this religion. The story involves Queen Esther of Persia, a brave female figure whose actions managed to save her people from certain death. The simplest version of the story is as follows: Esther, an orphan raised by her relative named Mordechai, was married to King Achashverosh of Persia. The king was unaware of Esther’s Jewish heritage, as Mordechai urged Esther to not reveal this fact to her husband. Haman, the king’s advisor, had a vendetta against Mordechai, who refused to bow down to anyone but God. As revenge, Haman hatched a plan to exterminate all the Jews in the land, whom Haman saw as being disobedient. When this news reached Esther, she came up with a plan to save her people. She risked her own life and appeared before the king unannounced to suggest hosting a banquet to which Haman would be invited. In preparation for the event, Esther and her people fasted for three days. At the banquet, Esther revealed Haman’s wicked plan and the king was outraged. He ordered Haman to be hanged, thus saving the Jewish people and cementing the need for celebration from then on. This year, Purim will begin at sundown (like all other Jewish holidays do) on March 20 and will last for one full day. Although the Purim story may not seem all that lighthearted, the traditions that accompany these festivities are often extremely enjoyable (especially for kids). What should the perfect Purim party Include? Costumes: There are several reasons for people to dress up in costumes on Purim, the important part is remembering to do it. It’s not necessarily a Halloween free-for-all. In fact, most participants will either dress up as a character from the Purim story or as a Jewish hero or historical figure. If you plan on throwing a Purim party, make sure to remind those invited to dress appropriately for the occasion (and provide extra costume pieces for those who might forget). Noisemakers: When the story of Purim is read in the synagogue, participants are actually encouraged to make a lot of noise — particularly when Haman’s name is mentioned. Noisemakers (called graggers) are often used, and people stomp their feet or hiss and boo when Haman enters the story. In some congregations, chants are used to revel in the names of Esther and Mordechai while condemning the evil actions of Haman. While you may not be reading the story of Purim at your party, you’ll still want to make some welcome noise. Consider hiring a traditional Jewish band or exploring options for Purim party entertainment in Queens to ensure your celebration is a lively one. Festive Foods: Jewish holidays are often known by the delicious dishes served, and Purim is no exception. Meat and wine are typically included on the Purim menu; in fact, adults are often encouraged to drink to excess, though this may not be part of your personal celebration. Hamantaschen — three-cornered pastries filled with fruit preserves, poppy seeds, or chocolate — are traditionally made and consumed during Purim and are often included in gift baskets that are given out to friends. This can be a fantastic alternative to the goodie bags you’ll often see at other parties. In addition, gifts of money, clothes, or food are given to charitable organizations as part of the Purim festivities. By raising funds as part of your Purim party or making a donation drop-off part of the festivities, you can give back to others and have a great time doing it. READ How buying crafts online is different from offline purchases? Understanding the finer details of a given Jewish holiday can be difficult, even if you’ve gone to temple your entire life. But by keeping these elements in mind, you’ll be able to throw a festive and delicious Purim party that your guests won’t soon forget. 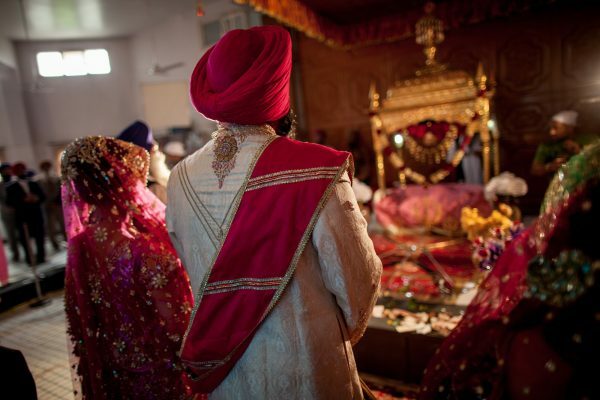 Rituals That Make The Wedding Of Sikh Religion Beautiful. What Is The Best Memorable Gift You Can Offer To Someone? olivia seo on The expectations from MongoDB – What is there waiting in the store?